Is there anything more challenging, both physically and emotionally then caring for a loved one with Alzheimer’s disease or other form of dementia? The mission of the CVCJ Alzheimer’s Respite Care Program (ARCP) is to ease the burden and enhance the quality of life for the family member struggling with this overwhelming journey. This is accomplished through a program of training and matching volunteers with families in need. Our Volunteers provide weekly visits up to 3 hour. This time is spent engaging the individual with dementia so that the family member can have some time for themselves. This time also enables them to provide relief to the caregiver in the form of socialization, education, resources and emotional support. 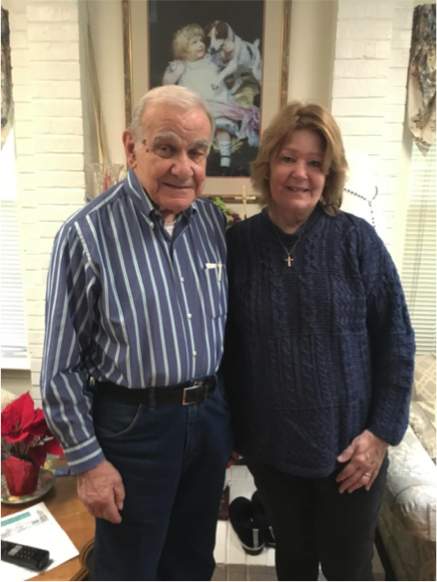 A recent match brought us to Charlie and Louise (who is calls his Angel) have been married over 50 years. Louise is in the later stage of Alzheimer’s disease and is now confined to a bed. Charlie is dedicated to her and is determined to never leave her alone for a minute. Having our volunteer, Mary, spend time with Louise means that Charlie can make plans to visit with some of his buddies once a week and enjoy some time away from his 24/7 caregiving duties without worry. Louise who is 96 years old, is no longer able to verbalize much but still has her great sense of humor and smiles and laughs often. She immediately connected with our Mary and they shared a few laughs at their very first meeting. Mary and Louise discovered that they also share a love for Danielle Steele novels and music so Mary will be read to Louise on her visits as well as listen to some of their favorite Sinatra and classic country tunes together while Charlie gets his time off. Charlie “can’t thank Mary enough for being so kind & supportive and for helping him and his Angel out this way”. According to the Alzheimer’s Association 2016 Facts and Figures for New Jersey, there are currently 170,000 individuals over the age of 65 with Alzheimer’s or other form of dementia and that number is expected to reach over 210,000 by 2025. Nationally, this number is 5.2 million or one in nine people of the age of 65 and eighty one percent of individuals over the age of 75. Nationally, 15 million Americans provide unpaid care for individuals with dementia. This chart represents the numbers in our New Jersey. This makes the support we provide to our caregivers invaluable not only the families we serve but to our entire community. As Caregiver Volunteers continues to expand our reach into Monmouth County, we are also very excited about a new pilot program that we are planning entitled; ‘Connection through Music’. Inspired and supported by the Alive Inside Foundation and based on the film ALIVE INSIDE which illustrated the power of music to “awaken” memories in individuals with dementia. ‘Connection Through Music’ will connect a young person with a volunteer mentor. 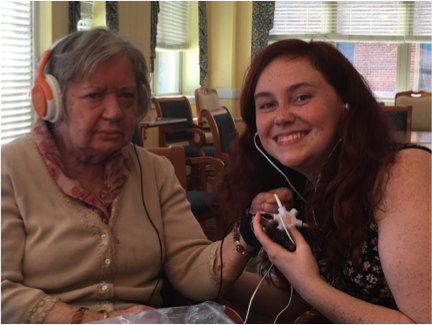 After sensitivity training & education about dementia, music and the brain, these young people will visit one of our ARCP families with their volunteer mentor and over time develop a friendship & create a playlist of favorite songs based on the life story of the individual with dementia. Music then becomes the bridge to friendship, memories & sense of self otherwise lost to the disease. We believe this program can be a powerful tool to create empathy in our youth and help reduce the stigma that surrounds Alzheimer’s and dementia. At the same time of course bring joy & hope to our participating families. 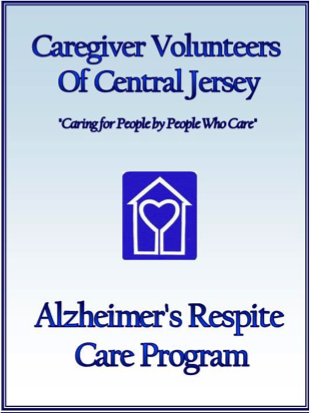 For more information about our Alzheimer’s Respite Care Program, Volunteer Opportunities, Resources or if you would welcome a presentation for your church, civic or community group, please contact Fran Pannella, ARCP Manager at 732-505-2273.